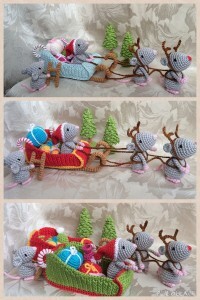 This entry was posted in Christmas and tagged amigurumi, christmas, crochet. Bookmark the permalink. where can i get these instructions? it is so sweet…….. Thank you …. Wonderful scene! Do you sell a pattern for this?